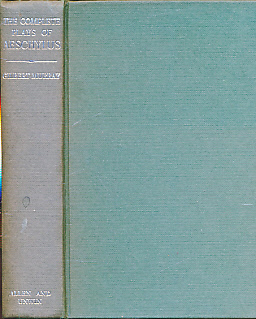 Barter Books : Aeschylus [Æschylus]; Murray, Gilbert [trans.] : The Complete Plays of Aeschylus. Translated into English Rhyming Verse. London. : George Allen & Unwin Ltd.
190 x 140 mm (7 x 6 inches) - [628pp].